Michael McDermott’s story is the classic tale of survival, perseverance, love and redemption.First came youthful innocence, a dream-come-true recording contract, a classic debut album heralded by the media, and a downward spiral with seemingly no bottom. Michael got off to a fast start when he released his first album 620 W. Surf. The music media heralded him with comparisons to rock n’ roll’s greats: “The new Springsteen…Truly singular lyrics…Like Dylan”. His career followed the classic path of boom and bust. Between his own self-destruction and the recording industry shakeup that marked the mid-1990s, McDermott found himself without a contract and awash in debt and self-doubt. In the last few years he’s found positive inspiration in his wife and daughter and scarred but smarter, McDermott is making more life-affirming choices. This year he has released an album with his new band, The Westies – a rootsy Americana band. Michael has chosen TwickFolk for a rare solo show in the UK, making a small diversion on his tour of Germany. 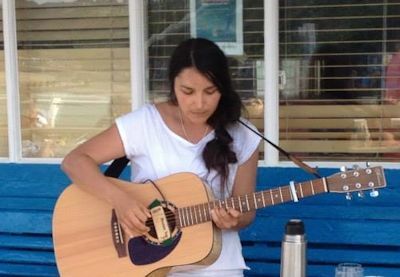 Gemma Khawaja is a Norfolk-based singer/guitarist from the Midlands performing traditional songs of the British Isles and creating songs inspired by folkloric customs, folk poesy & poetry. She was the 2013 winner of Islington Folk Club’s Trad2Mad competition.